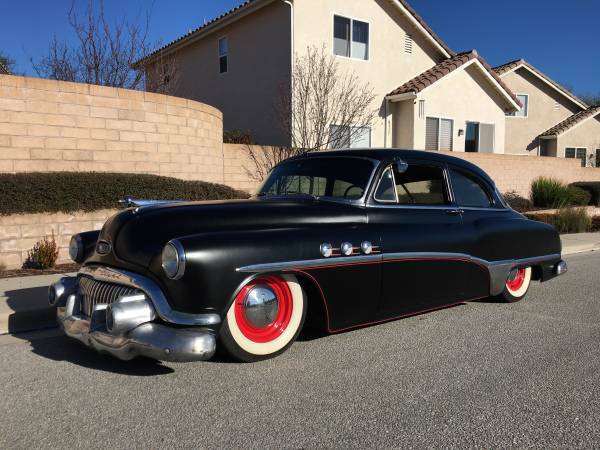 Found this one cool bagging custom build based on American antique car, as shown here is 1951 Buick Series 40 Special Tourback 2-door sedan still with its original engine and drivetrain fairly cool in black with the cherry red wheels and original Buick hubcaps. No mechanical issue, all in good shape overall, only few instrument not working properly but not important things to disturb its performance. Hard to find imperfection from here should come if you serious, with minor repair or replaced few parts that would be be perfect. The vehicle was offered for sale by current owner, asking $13000 located in Atascadero, California. 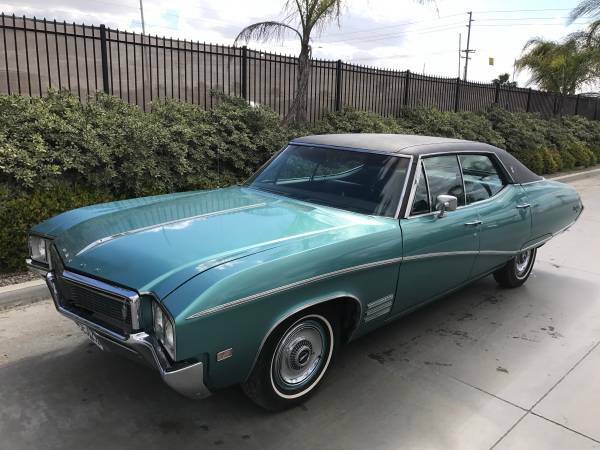 This a beautiful classic American car that was made by Buick, as you've seen here is fairly cool 4-door hardtop sedan well-known as fourth generation of Buick Skylark released in 1968 still look greats was shown by photos. Found this one in a pile of a lot Craigslist ads and one of many minimalist ads who tries to find a potential buyer today, asking $4995 located in San Diego, California. Despite very less info and detail, unclear the original condition or results of restoration, and the engine bay photos not provided, that's all not matter so far the appearance looks cool in and out. 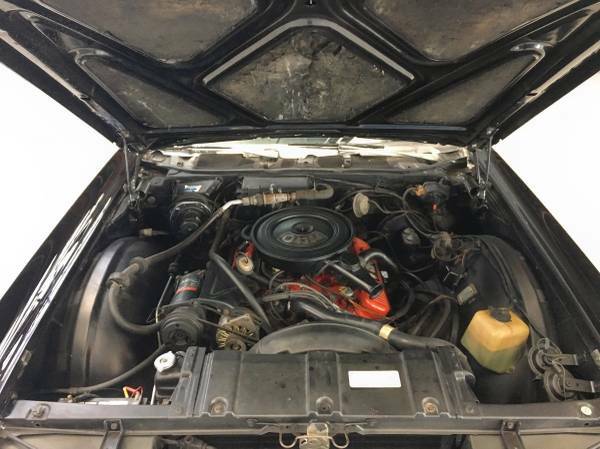 This could be one remarkable example of 1968 Buick Skylark that was looking for a new owner with reasonable price. 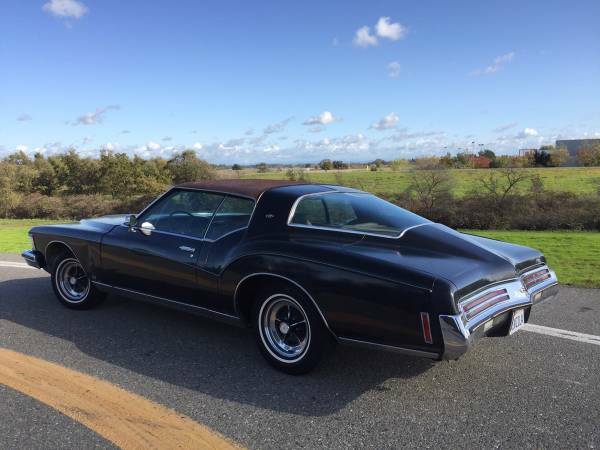 Found this one cool American vintage car that was produced by Buick in early of the 70's, as shown here is a late model of the third generation Riviera built in 1973 fairly cool with a dramatic "boat-tail" styling has been driven about 116k miles looking for a new owner. This could be one remarkable example of the original Riviera boat tail ever seen in here autorestorationice.com. This 1973 Buick Riviera boat tail being offered for sale in Craigslist for $5000 located in Sacramento, California. A minimalist Ad was posted about 28 days ago, still online when we write here. Low price especially for condition, good car but don't be rushed for first impressed. About less or not reasonable of the value you should come to closer inspection for accurately condition. 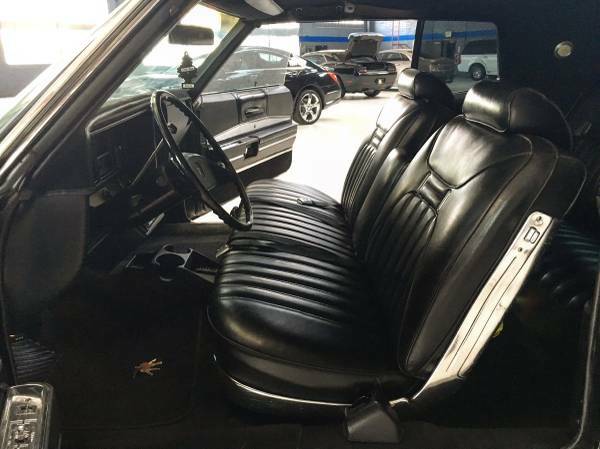 Found this American antique full-size premium automobile was listed in Craigslist for $15500, located in California. As shown here is the 225 model of third generation Electra that was built by Buick in 1969 is a fairly cool black car as 2-door hardtop body. Like usually a big car for its period, the Electra featured power everything, best material all around inside and out to represented its class. 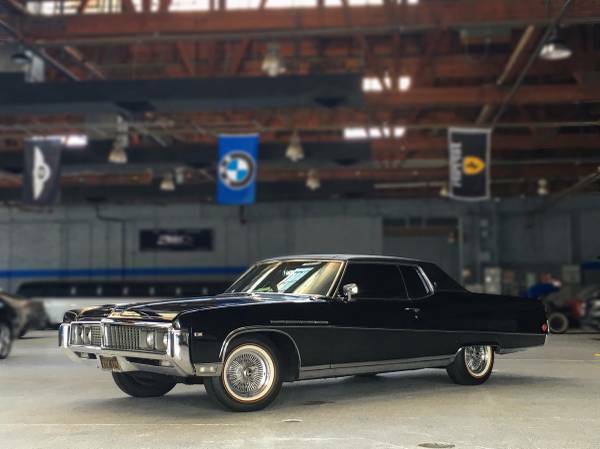 Described as excellent condition, there is no word about the authenticity of the paint, but all looks awesome it could be a coolest example of the classic Buick Electra in here autorestorationice.com. Despite not ideal in light, the interior photo looks clean in black color. The seller says has been rebuilt, all features and instruments works properly. It’s hard to get a detail from here, but it does look like some luster remains. There doesn’t seem to be any sheet upholstery damage, and all appear to be in nice shape as well. For 1969, the Buick Electra 225 series received a 430 Buick V8 engine and able to produce about 360 horsepower when new. No words about issue all looks convincing and promising the engine bay looks clean and neat filled by correctly motor and mated by 3-speed automatic transmission. 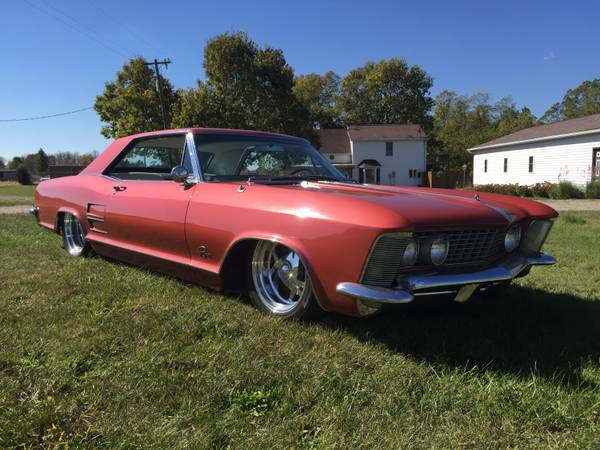 Here's found this one nice American classic car was made by Buick, as we've seen here is a first generation of the Buick Riviera released in 1964 with Coral Mist color, the seller claims is very rare color only 465 ever made on that's color. This could be a seriously cool as old school dropped Riviera ever seen in here autorestorationice.com. Described as a coolest custom build example of the classic Buick Riviera in very good condition, need nothing to enjoy it. Already offered in Craigslist about 7 days ago looking for $27,500 located in Indianapolis, Indiana. Interested please read details owner provide below.